Want to provide for the people you care for? Ensure you have a legally binding Will. Your family, your friends and the causes dear to your heart are important. That’s why it’s crucial you prepare a legal Will. Many people feel that they don’t have enough to leave, or that their affairs are too simple to necessitate a will. Yet the need for a Will is probably more important today than it has been before. Why is it more important than ever to have a formally written Will? As we live longer, and have more significant relationships, dividing our estate after a death becomes increasingly more complicated if a Will isn’t left. If you don’t make a legal Will, your estate is distributed using a formula determined by the government – a formula that may fail to address your wishes and the needs of your friends and families. A Will is a legal document setting out who will receive your property and possessions after your death. You will need to choose a single person to be the executor of your Will. The executor must collect all your assets, organise the payment of your debts and then distribute your property in accordance to your Will. CM Lawyers, along with the Law Society of New South Wales, advises against the use of DIY will kits. The laws surrounding wills and estates can be complex, guaranteeing that a self-made Will is more likely to be contested. Leaving out important facts about your circumstances or creating a contradiction between what’s reported in your will and what your actual circumstances are, can cause your Will to be deemed invalid. Thinking of making your own Will? There's a few reason why you should think again. • Your signature must be witnessed by two other people who also need to sign the will. If you own property, alone in your name and not shared, say with a spouse, a grant of probate may also need to be attained before your Will is executed. Dying without a valid Will is known as ‘dying intestate.’ If you die intestate there is a standard formula used to organise the distribution of your property and your possessions. This almost always means your estate will be passed to your spouse and children. Dying without a Will can become increasingly complicated if you have re-married, have separated and later have a de facto partner, you have children from different relationships, or you die with no spouse or children to inherit your estate. The executor is the person you elect to carry out your wishes as stipulated in your Will. It is their responsibility to distribute your assets and ensure the payment of your debts. You can choose to leave your assets to anyone you please, including charities, friends, organisations and institutions. However, if you have dependants, such as a spouse or children, you are obliged to provide adequately for them from your estate. Failure to do so means they may have the right to contest your Will in court. You can absolutely change your Will at any time. Additionally there are certain life events that should encourage you to reassess and amend your Will in order to reflect your present circumstances. These life-changing events include marriage or the establishment of a new de facto relationship, if one of your beneficiaries or your executor dies and if you come into the possession of a significant number of assets or money. However you can’t simply take a permanent marker to your Will, crossing out old stipulations and writing up new ones. Instead, every minor change needs to be authorised with a codicil. Every codicil needs to be in writing, signed and then witnessed by two people. Need to make some major changes to your Will? It’s probably best you re-write your Will completely, ensuring that there is a new up-to-date document. We also recommend updating your Will if you've recently entered into a Financial Agreement with your spouse or you have dependant children. Marriage and divorce can change the terms and conditions of your Will. Generally, marriage will automatically cancel the terms of any Will you’ve previously drawn up. If you divorce, it makes any gift left to your former spouse void. It also cancels their appointment as trustee, executor or guardian under your will, except as trustee for property left to any children. Your original Will document should be stored in a safe place, and your executor should be alerted as to where it is. You may also choose to leave a letter of instruction for your executor to express your wishes in greater detail. Most solicitors will securely store your Will free of charge and provide you with a copy for your own records. From simple administrative work like writing up your Will or making an Enduring Guardian document to complicated legal disputes such as challenging a Will in court, our legal team are here to simplify the process and protect your rights. 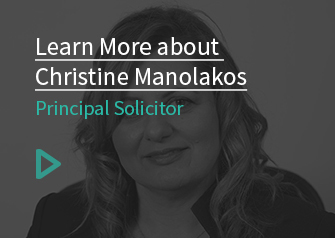 Speak to the estate solicitors at CM Lawyers today by filling out a contact form or giving us a call.